After exposure to a hazardous substance, any delay, can result in serious injury. OSHA and ANSI require that Emergency Shower to be located within 10 seconds walking time from the hazardous site location. Delivering immediate full body shower and Eye / face wash with positive stay open valves. same specs as above except with finished exterior side panels. 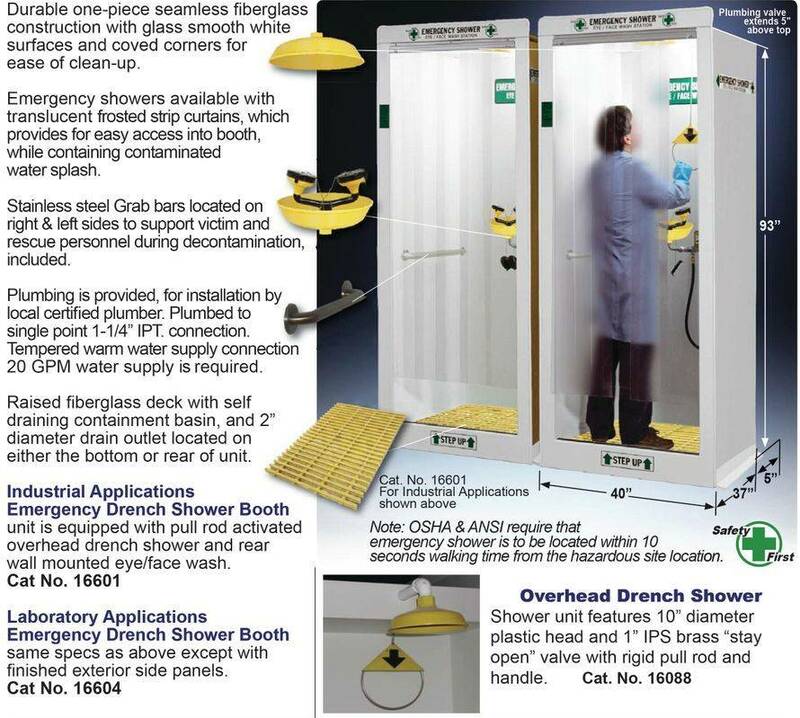 unit is equipped with pull rod activated overhead drench shower and rear wall mounted eye/face wash.
For Emergency Shower Literature Click Here.